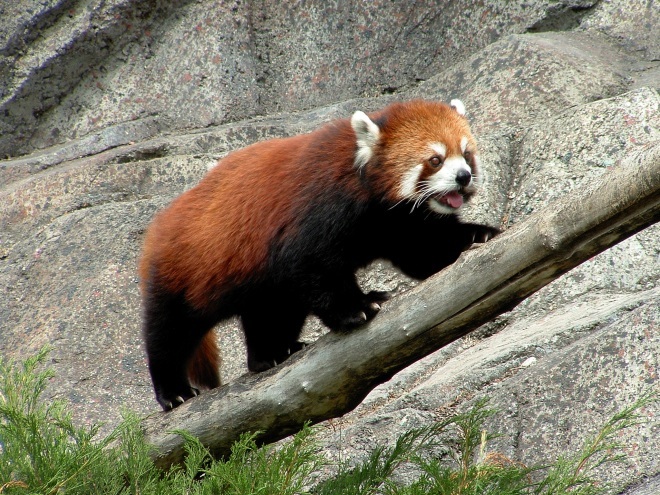 Firefox 24 is due to officially launch on Tuesday, but you can grab the desktop version right now. Links for Windows, Mac, and Linux are available on Mozilla’s servers here: FTP. If you prefer to wait for the official launch, you’ll soon be able to grab it directly from Firefox.com. Soon after it arrives tomorrow, Mozilla will also push it out via the browser’s automatic updates feature. NEW: Implemented Close tabs to the right. NEW: Social: Ability to tear-off chat windows to view separately by simply dragging them out. CHANGED: Accessibility related improvements on using pinned tabs (see 577727). DEVELOPER: Major SVG rendering improvements around Image tiling and scaling (see 600207). DEVELOPER: Improved and unified Browser console for enhanced debugging experience, replacing existing Error console. DEVELOPER: Removed support for sherlock files that are loaded from application or profile directory. HTML5: Support for W3C touch events disabled (see 888304). NEW: Enabled support for WebRTC. NEW: Ability to share open tabs between NFC-enabled phones. NEW: Easy access to your favourite share application from main menu. Read more in the blog post. NEW: Added support for Braille, Popup announcements, Door hangers retain focus and a lot more for TalkBack users. NEW: Better night reading experience with Night mode functionality in Reader. NEW: Added Swedish, British and Catalan to Android multi-locale builds. CHANGED: Baidu is now the default search engine for the Chinese locale. We will update you with more information (including the official changelog) when Firefox 24 officially launches. 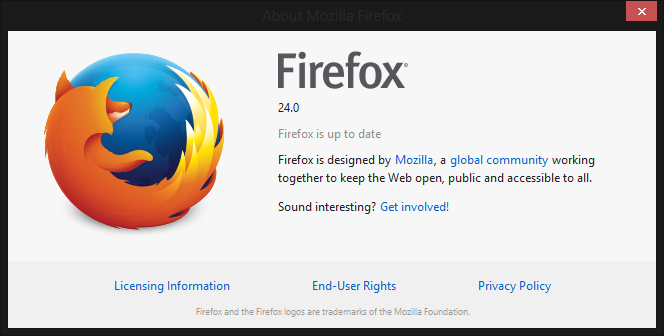 In the meantime, if you’re a Web developer, you may want to check out the Firefox 24 for developers page.